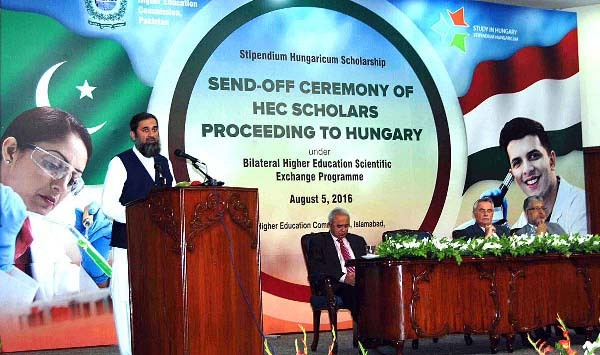 ISLAMABAD, Aug 5 (APP): Minister of State for Federal Education and Professional Training Engr Muhammad Baligh Ur Rehman Friday highlighted importance of the Mathematics to progress in the field of science and technology. “Mathematics is playing a significant role in the development of science and technology all over the world and people are benefiting from scientific and technical innovations,” he said while addressing the participants of a seminar. The seminar titled “17th Pure Mathematics Conference 2016” was jointly organized here by the Preston University, Pakistan Mathematical Society, Advanced Institute of Mathematical Sciences and Islamia University Bahawalpur. The minister said that Pakistan, being one of the important countries in the world, could not afford to undermine its role in the global affairs in general and science and technology in particular. “Since mathematics is like the backbone of science, Pakistan will not lag behind in contributing its share in the development of mathematics,” he said. Baligh ur Rehman emphasized that it was essential for mathematicians to remain in touch with international mathematicians. “The mathematics, which is generated by a mathematician while working in isolation without any solid background and incentive, will be backward and unimportant,” he maintained. The primary aim of organizing conferences, he said, was to enhance the understanding of mathematics and provide opportunity to the working mathematicians aimed at exchanging ideas with their colleagues at the national as well as international level. He also talked about the contributions made by Muslims scientists and mathematicians to science and mathematics.